Its been a fast week and today I had to do some laundry, so I took the opportunity to process a few images, as I have not been able to do any processing, just downloading and shooting. We said goodbye to the group this morning it was a fun week with John Barclay and Dan Sniffen. 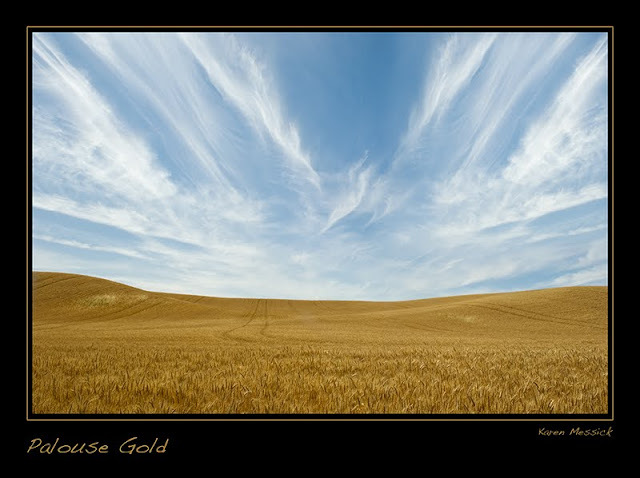 The opening shot is representative of the amazing acres and acres of wheat fields...and the big open skies...well there was one day we had a few clouds, but mostly its been bright blue skies and harsh sun. Yesterday we made some images at the Dahlman Barn, but across the street was a co-op for grain and I found many shots there, but my favorite was of this young man. I processed it as an HDR stack in Nik HDR Efex Pro because I needed detail in all areas to make the shot what I saw. 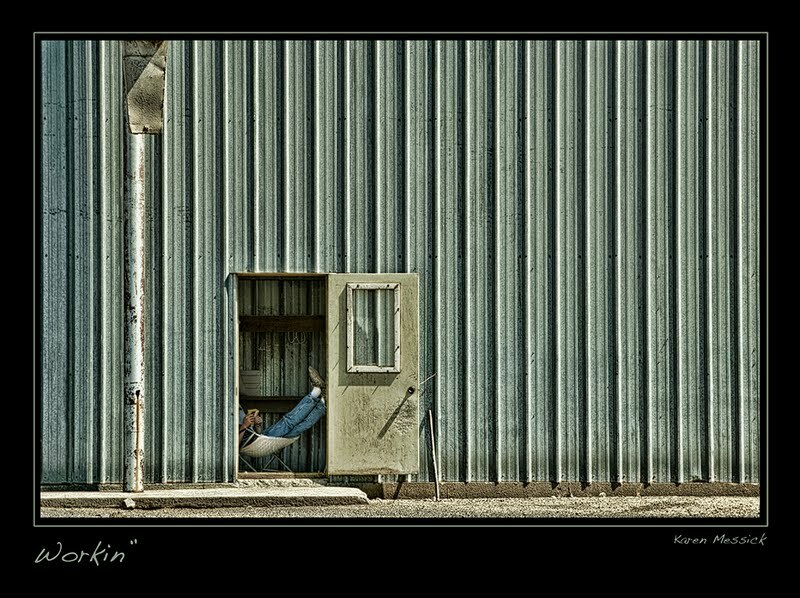 However, the young man had moved slightly and the HDR stack was slightly blurred on his person, so I had to get a bright file and paste over the HDR blend and then mask out the bright areas of the silo leaving just the door way bright and that worked. Then I added a touch of Topaz Adjust and blended back with the original to get the effect I wanted. I just loved this scene! Time to hit the road and made a few last shots in the Palouse!